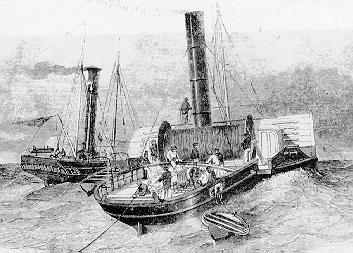 another picture of the laying of the cable (29KB). 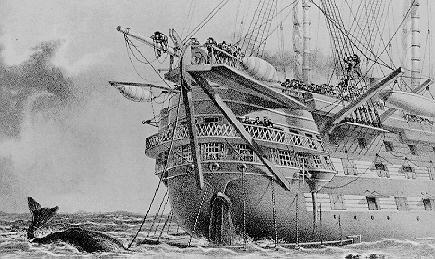 As you can imagine, this was an absolutely incredible undertaking at the time and it allowed nearly instantaneous communication between the United States and Europe instead of the several-week delay necessitated by using ships to carry the messages. This year, I was able to recover a total of three long-submerged cables. I recovered two of the cables on solo dives from a boat that I chartered, and the third cable was recovered with the help of a professional dive boat and a professional diver who assisted me in cutting through the cable. 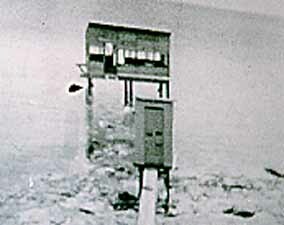 A Cable Shack and Cable Tunnel:(3KB) That shows where some of the cables came ashore. 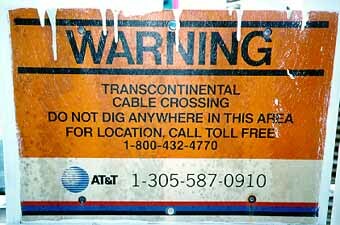 WARNING sign:(27KB) which made me very cautious about cutting pieces of the cables that I found in deep water... I went back to the books and double checked that the cables that I planned to cut had been abandonned for over 100 years. The weather was absolutely Ideal and the diving was easy. The only problem was the extremely poor visibility near the bottom. This picture shows the low visibility at one site:(5KB). As you can see, the visibility was so low that I could barely see my watch and my hand holding the cable. 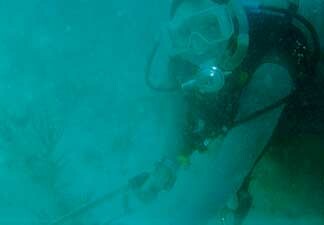 Nevertheless, I did manage to recover pieces from two different cables on these dives. 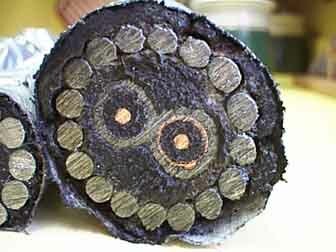 very clear photograph of the cable after I had cut it:(29KB). After I raised the cable, I kept it moist to prevent it from drying out and starting to rust. 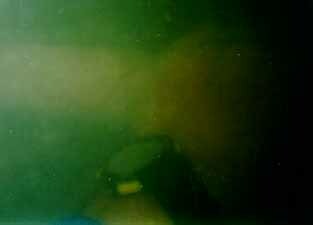 This picture shows the cable under wet towels on the deck of the dive boat:(17KB). cut the duct-tape-wrapped cable:(18KB) into short enough lengths to fit into the electrolytic bath. 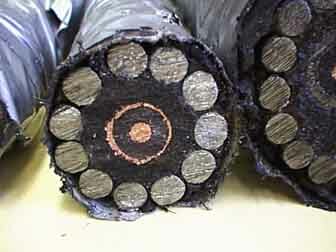 The cables were theng conserved by electrolysis. 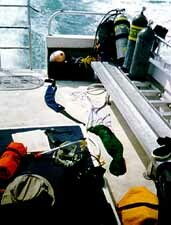 last year's (1997) diving expedition. Before immersing the cables in the electrolytic bath, I took a photo of the end view of each of the three cables and they are shown below. I will post pictures of the dive trips and more information about the cables as soon as possible. 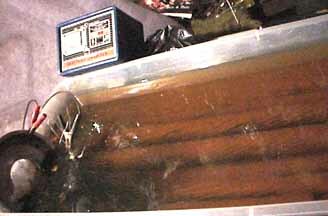 The first photograph shows the three newly recovered cables side by side before they were immersed in the electrolytic bath. The Duct tape was used to assure that the cables did not dry out during the long trip to my home. The first cable is very similar to the cable that I recovered during the 1997 diving expedition. 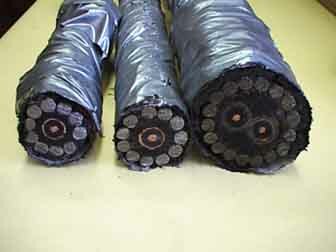 Like the 1997 cable, it has a total of 10 strands of iron cable in the protective outer layer. 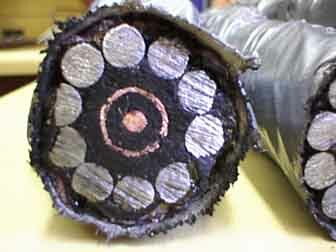 The second piece of cable is also very similar to the 1997 cable with the exception of the fact that it has 11 strands of iron instead of 10 in its outer layer. The third piece of cable is quite different from the 1997 cable. 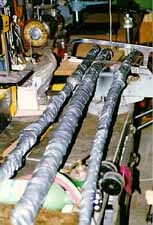 It has a total of 17 strands of iron instead of 10 in it's outer layer and it has two inner conductors protected by not only a copper Torado worm barrier, but also a lead barrier outside of each worm barrier. More photos and information will be added to this page as soon as they are available..